We knew it wouldn’t be long after the success of the HTC Vive and Oculus Rift, that a lot of other companies wanted to get on board with Virtual Reality. 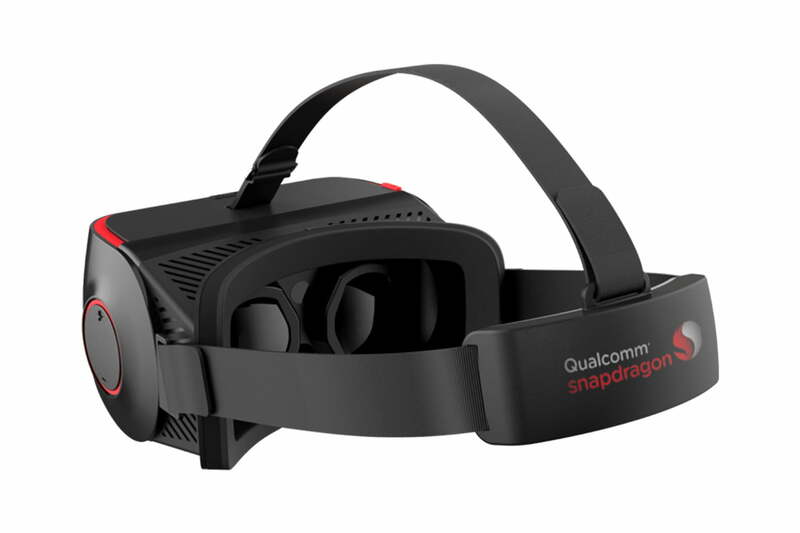 Following on from Acer and StarBreeze’s news earlier at the IFA 2016 conference, Qualcomm has debuted its own VR efforts. It’s not one you’ll be able to buy yourself, but the reference headset should give many different companies an option for their own branded VR hardware. Known as the Snapdragon VR820, the headset features its namesake chip (the Snapdragon 820) with its Adreno 530 graphics core and 1,440 x 1,440 pixel resolution per eye (so 2,880 x 1,440 overall). Although we don’t know the field of view at this time, we do know that it operates at a 70Hz refresh rate, which is a fair chunk less than the consumer grade headsets we’ve seen released so far. The headset is entirely wireless thanks to Bluetooth 4.2 and Wi-Fi 802.11ac support. Because of that it utilizes internal processing, so that does of course mean battery life will be a factor. We don’t know how long it lasts yet, but we’re told that there is a battery saver mode. Dual cameras on the front of the headset allow for not only positional tracking, but also recognition of hand gestures and the use of augmented reality applications. This is reminiscent of the Project Alloy headset Intel recently announced, though it’s unclear how Qualcomm’s gesture recognition will compare in actual use. It has full support for binaural audio, we’re told, though no built in headphones like the Oculus’ Rift. There are, however, four microphones placed around the headset for noise filtering and cancellation, making it easier than ever to immerse yourself in a virtual world. One of the reasons Qualcomm is pushing this design forward, is because it wants to position itself as the power house behind consumer VR. While desktop, consumer virtual reality must be powered by the likes of Nvidia and AMD graphics, more mobile, generic solutions could be powered by mobile-focused chips, like the Qualcom Snapdragon 820, which is found inside this headset. It’s also looking to get in on the ground floor as a potential provider of stock VR solutions for various companies. Qualcomm plans to release the headset to its business partners in Q4 this year, with commercially branded versions from them showing up shortly after. It’s an impressive looking headset, with many features. We’ll have to wait and see what the performance with the Snapdragon 820 is like, though, as it’s obviously not going to be as capable as a desktop PC or laptop. We’re also a little concerned at the relatively refresh rate and the potential for short battery life. It’s certainly an exciting time to be a VR fan.